Leave the chaos behind at Tangram House. 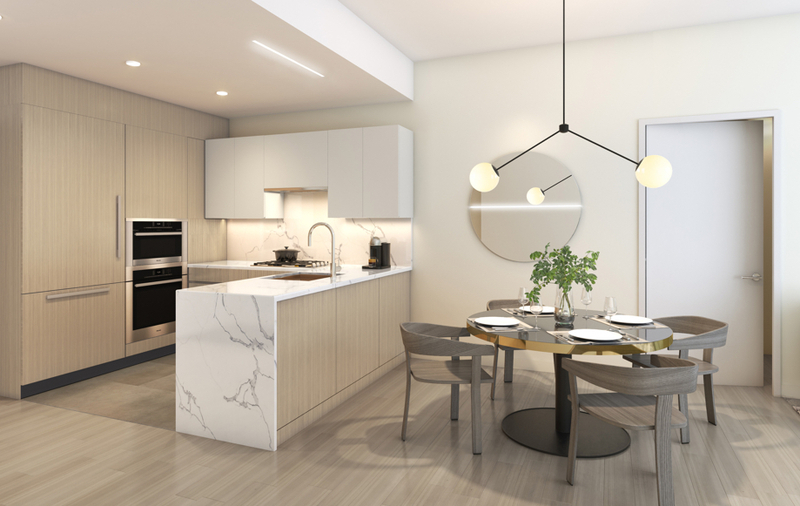 We’ve designed living spaces that are sensibly defined by clean, elegant lines that maximize space and light — where attention to every detail welcomes you into a calming energy. The result is the tranquil balance one feels when they can care for their whole self — mind, body and spirit — all in one place. 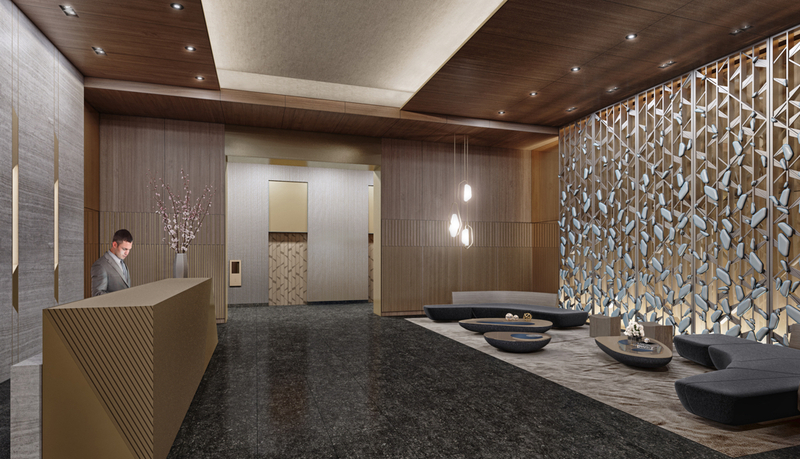 Aesthetically rooted in Asian architecture and philosophy, creating a contemporary retreat that’s both well-crafted and timelessly elegant, Tangram House sets an unprecedented standard for living in Flushing, and beyond. Feel the city melt away, and the calm settle in. The main lobby at Tangram House is an exercise in crafting organic forms that reference nature. Outfitted with a sculptural screen featuring an iconic, modern bamboo pattern accented with handmade pieces inspired by gently falling snow, the result is a nod to classic Asian design. It is a beautiful introduction to the world that Tangram offers. The genius of our bathrooms and kitchens begins and ends with custom cabinetry from Doimo, a three-generation Italian company selected for their renowned craftsmanship and forward-thinking design that goes beyond trends for a timeless aesthetic. Their fine attention to detail, an understanding of space, and an appreciation for a harmonious design that brings a perfect blend of style and utility to your home. A truly unique partnership for a truly special home. Our bespoke design by Jean Neukomm features customized Italian cabinetry from Doimo, Italian stone countertops and backsplash, and customized faucets and stainless steel sinks. We proudly use top German- designed Miele kitchen appliances in all of our kitchens, chosen for both superior design and performance. Italian stone vanity tops, custom-designed medicine cabinets, and carefully selected accessories create a look of understated luxury in your own personal sanctuary. 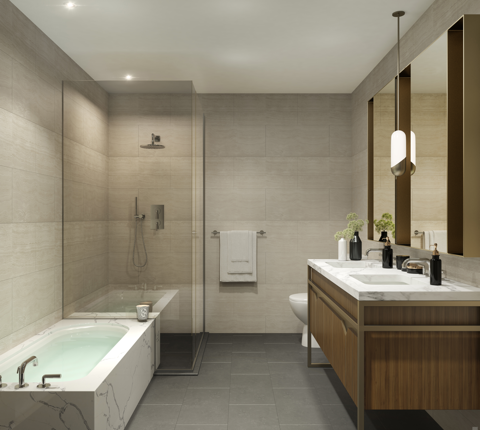 Master bathrooms feature separate glass enclosed walk-in showers, premium Kaldewei tubs, and premium Toto washlet toilets and double vanities. 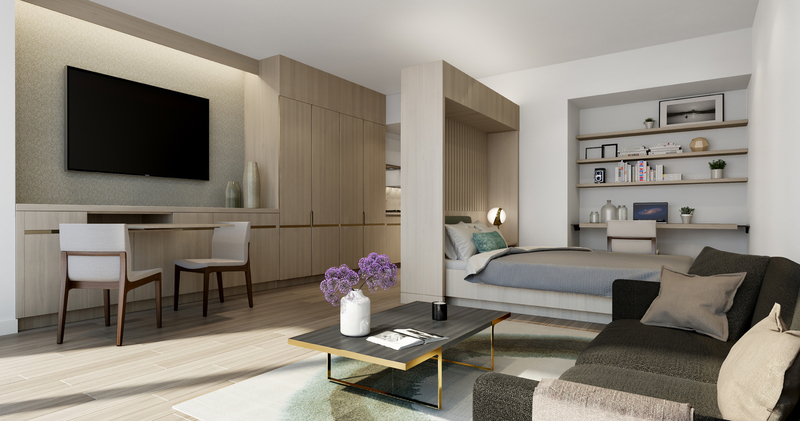 Our studios reflect a new, trend-forward way of designed living that makes the most of every element. 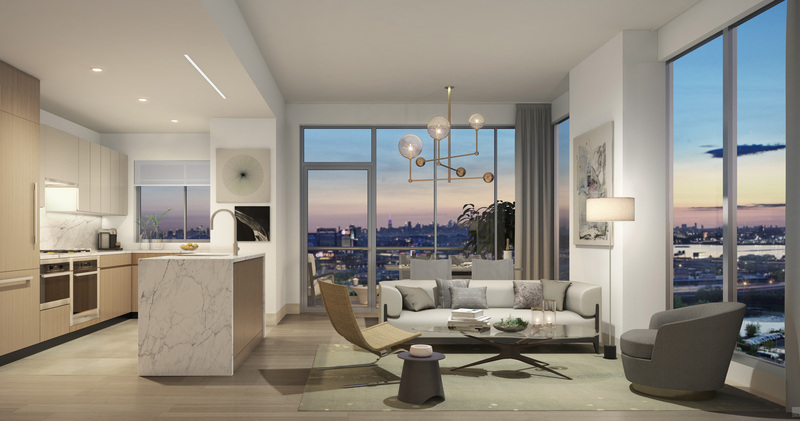 A stylish choice for both a full-time residence or a pied-à-terre, our signature fully-furnished studios showcase our commitment to clever design. Every studio features millwork pieces such as built-in bookshelves, a queen bed with custom headboard and a pull-out dining table, dividing the space in elegant, thoughtful ways, maximizing a sense of privacy. 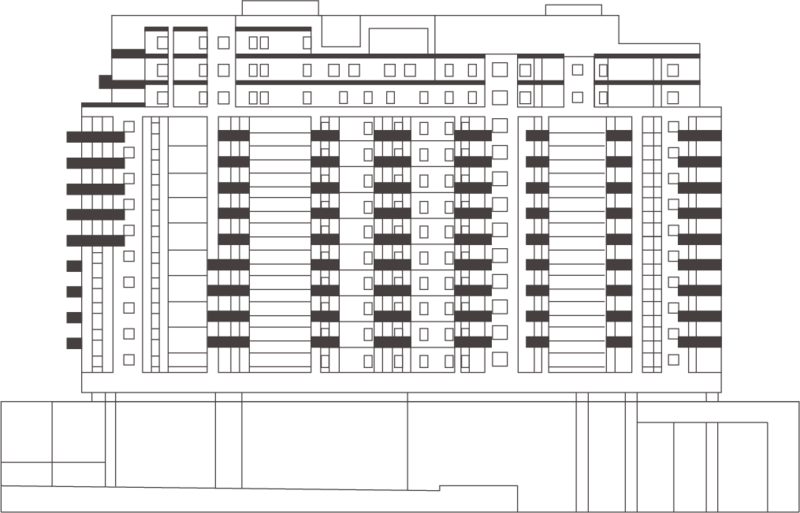 With ample storage and no area unused, the studios at Tangram House are a perfect example of smart city living.